“Students at VCA learn that regardless of their age, they are valuable and necessary members of their community. Valley Christian Academy admits students of any race, colour, nationality, and ethnic origin to all rights, privileges, programs, and activities generally made available to the students of the school. All applications will be considered for children whose parents desire for them a Christian education. 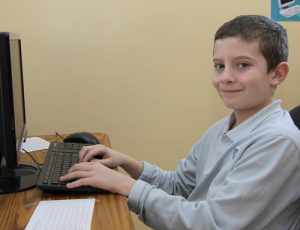 Students applying to VCA will be admitted on the condition that they are capable of maintaining the spiritual and academic standards of the program. VCA is a school with smaller class sizes allowing us to individualize the curriculum to help meet the needs of each student. When contact is made with the school, a handbook is issued. Parents are to carefully read the handbook. It is advisable to review the handbook with the prospective student, depending on the age of the student. Questions and concerns should be noted, to be presented upon meeting with the principal. A meeting is arranged with the principal to discuss handbook policies or questions. The purpose of this meeting is to provide an opportunity for parent(s), student(s) and VCA to learn about each other, including respective values and educational philosophy. Following the meeting, an application form is completed and returned, along with the enrollment fee, to the principal. A current transcript of the student's academic standing and one reference from the previous school attended must accompany the application. t is helpful to have the transcript available at the information meeting. The application is reviewed and parents are notified of the school's decision. Let us help you discover your place at VCA. Students can enrol at anytime throughout the school year. We would love to welcome you to the VCA family! Contact us anytime to discover the difference VCA can make in your child’s life. Please see the tuition and dress code pages for fees and dress requirements. For more information on international students, please go to the International Student page.